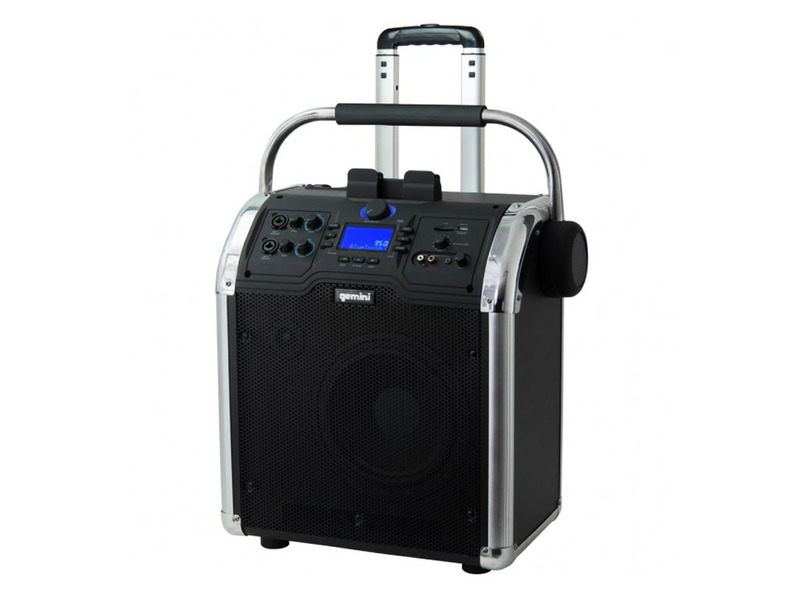 The Gemini MPA3000 10″ Portable Bluetooth Speaker with FM Radio, USB Charging Station, SD Input with a Quality Wired Microphone is a must have at any event. With a Heavy Duty Wooden Box Design with Extendable Luggage Handle and All Purpose Wheels will keep the party going for hours. Playtime is (5) hours of portability on Max power with a rechargeable lithium ion battery. Recharging is a breeze taking the same amount of time as a cell phone. Two Microphone Inputs and echo effect ideal for Karaoke.